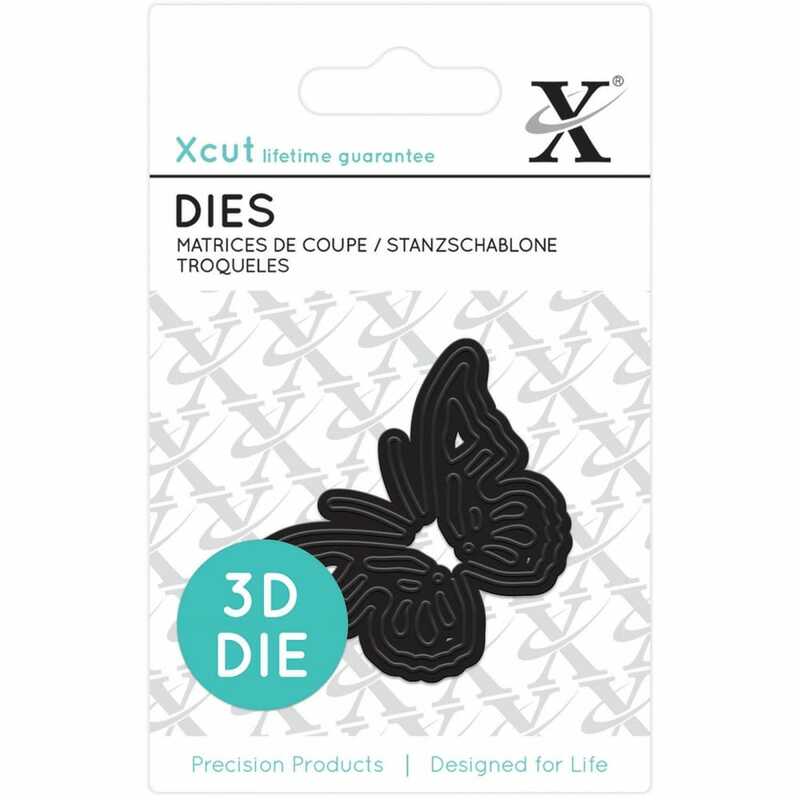 The mini 3D Butterfly dies are a great addition to your collection for adding that finish touch to your project. The die is universal fit and will work on most die cutting machines. Can be used with paper, cardstock, vinyl, vellum, adhesive-back paper and more. Set contains 1 3D mini die made from the highest grade carbonised steel. A bit about the brand: Xcut provide a great range of Dies for use in Die-Cutting and Embossing, also in cardmaking and scrapbooking. Xcut believe in them so much that they are guaranteed for life by the manufacturer.